The Prespa Ohrid Nature Trust (PONT) contracted CNVP Albania and CNVP Macedonia to assess challenges and opportunities for local actions concerning the small-scale production, processing and marketing of Non-Timber Forest Products (NTFPs) in the Wider Prespa Area (WPA) of Albania and North Macedonia. 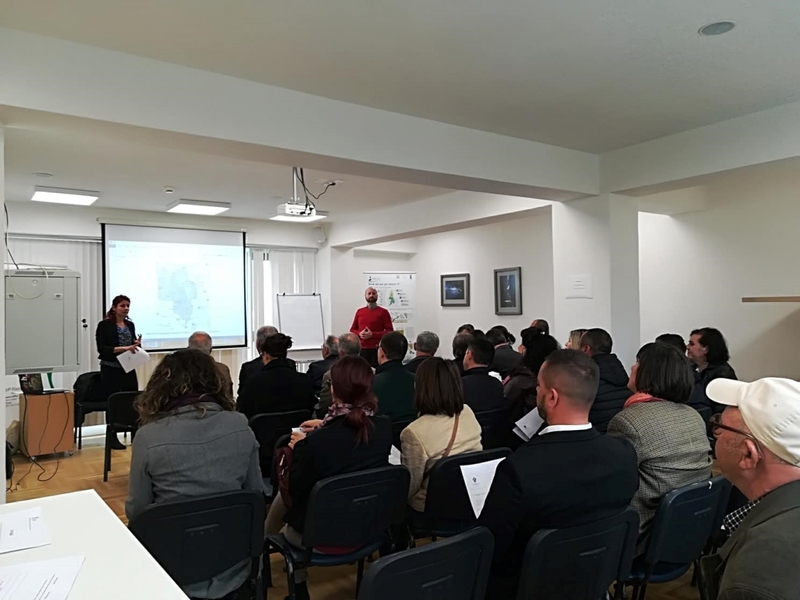 As an input to the assessment, CNVP held a workshop on 8 April 2019 in the Stenje monitoring station. Stakeholders from Albania and Macedonia discussed different aspects of NTFPs: policy, institutions and management; planting, collection and production; and processing, marketing and branding. This input will be used to prepare a gap analysis that gives an overview of the major issues and challenges faced by the NTFP sector in WPA. The valuation of forests has been based traditionally on a financial appraisal of the timber stock, neglecting the values of NTFPs which have been considered as minor forest products that generate only seasonal and insignificant income. But, WPA has an exceptional floristic diversity with over 2,200 species, and a high number of endemic plants. These resources play a vital role in the livelihoods of the local people who often rely heavily on NTFPs for both subsistence and cash income, but for whom nature conservation is not a priority. Approximately 24,000 local people in North Macedonia and 5,600 in Albania live in the area collecting and cultivating NTFPs that include honey, fungi, lichens, berries, medicinal and aromatic plants, as well as mountain teas. Their collection and use on a sustainable basis is crucial for the success of future nature conservation. As healthy and preserved ecosystems within protected areas (PAs) have good potential to produce wild food plants, the sustainable management and conservation of such ecosystems are of interest to both PA management and local rural communities which live in and around the forests in WPA. At regional level, NTFP production and trade is largely concentrated on the North Macedonian market. In 2015, for example, 13,000 tons of NTFP were exported from Albania to North Macedonia, worth more than €27 million.